In recent years the notion of ‘place’ has become increasingly important in health and care policy. 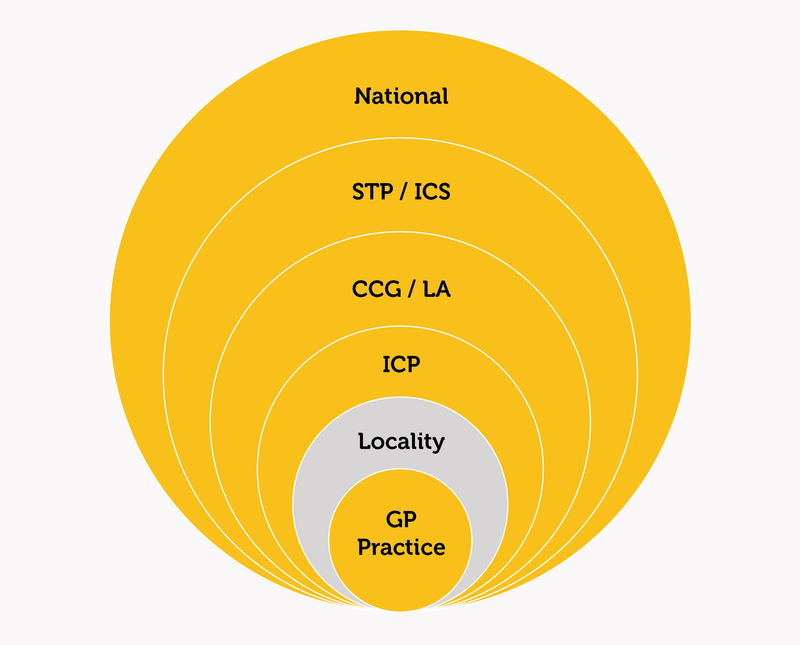 The fundamental notion being that thinking about ‘a place’ when planning and delivering services can be helpful to the task of integrating care (and thereby improving resource use, outcomes and experience). Below this level is the locality or neighbourhood. The scale of these localities varies but tends to be at the 30,000 to 70,000 population level. We believe that this emerging level has the prospect of greater stability and longevity than other levels because the local workforce can experience reduced turnover and because localities have tended to be less exposed to policy churn. While far from being universal, some form of neighbourhood-based working seems to be at the heart of most strategies and care models. Yet there is no single or accepted blueprint for ‘a neighbourhood’. 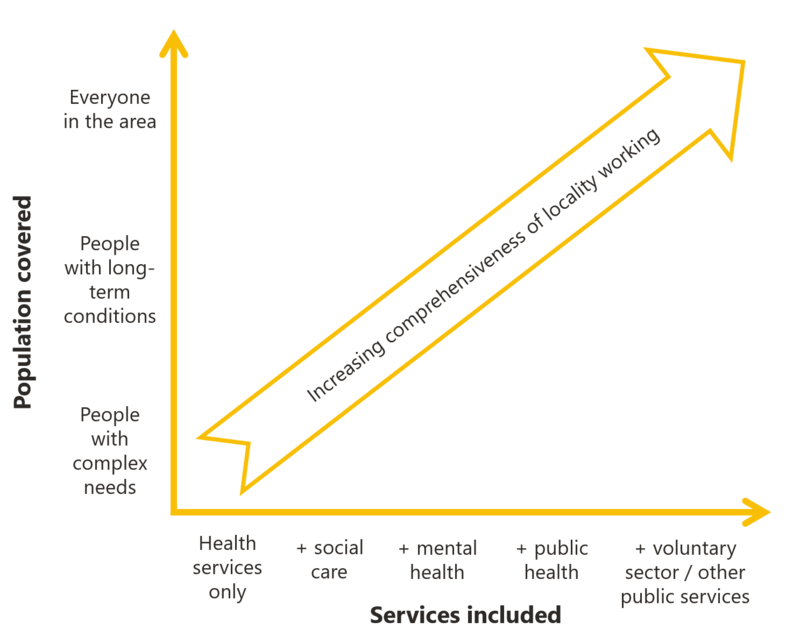 It is possible to categorise a neighbourhood according to the population groups targeted (from people with complex needs to everyone in the area) and the services included (from just health services up to a wide range of different public and voluntary services). Our work suggests that neighbourhoods are likely to exercise a series of core features. We are enthused by neighbourhood working and want to use our expertise to make the most of it. 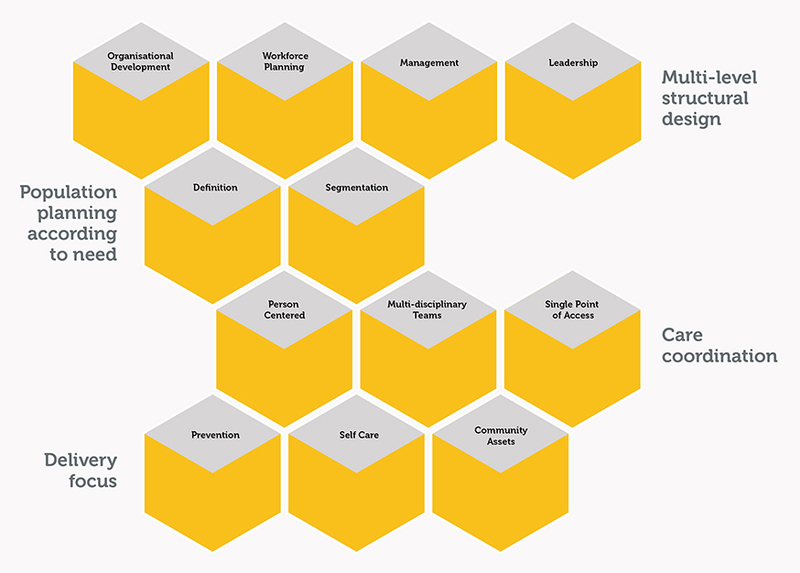 We have already worked successfully with organisations developing their own ‘neighbourhood’ model, helping them to understand their requirements and bridge the gap between policy and practice. We are committed to this work and have developed a Neighbourhood Network to encourage debate and shared learning in this area. 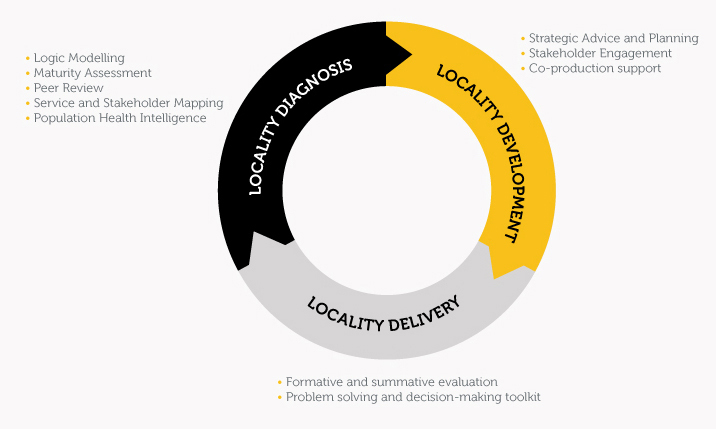 Our services span the innovation and improvement cycle. We help our clients understand challenges, design responses, improve delivery, and evaluate results. In short, we help them ‘Diagnose’, ‘Develop’ and ‘Deliver’. The Strategy Unit works on complex challenges. Our services add most value where the need for innovation and clear thinking is high and the suitability of standard approaches is low. So, in all cases, our support is tailored to the specific needs of the organisations and systems we work with. We have no ‘standard offer’ for neighbourhoods and would work to understand and address your specific needs. We blend our technical expertise with the local knowledge of our customers, enhancing the organisations, teams and systems we work with. This will be vital for improving skills in neighbourhoods and equipping teams with the skills they need to thrive, driving their own improvement and improving outcomes for their local communities.